In havurah (friendship, fellowship) groups, members and visitors gather for fellowship, study and prayer for about two hours, with open-ended times for noshing (snacking) and building relationships. The Quakertown/Telford havurah meets 2nd and 4th Shabbat at 7pm at Leah’s home. 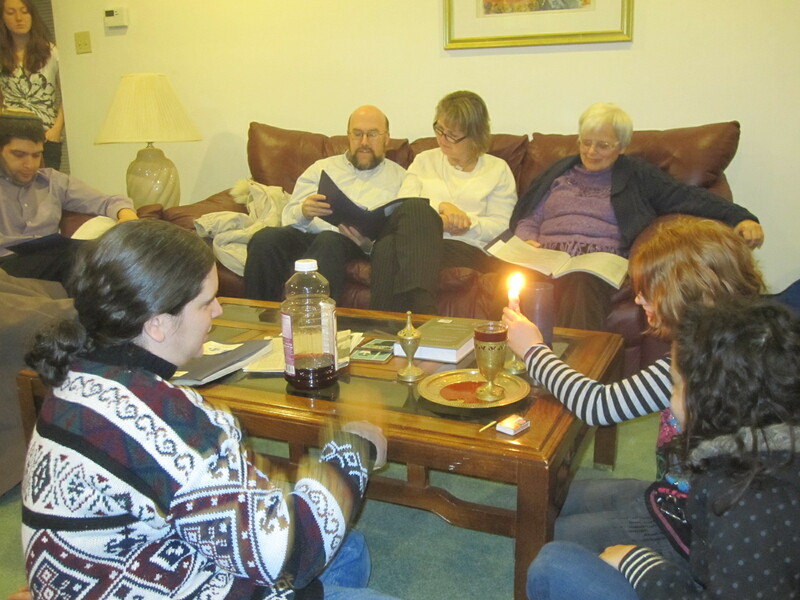 The Lancaster havurah meets 1st and 3rd Shabbat at 6:30 PM in New Holland, PA. The Breinigsville havurah meets the 2nd and 4th Wednesday at 7:15pm in Breinigsville , PA. The Tree of Life Bible study meets the 2nd and 4th Thursdays at 7:15PM in the Rabbi’s home on the west end of Allentown. Bring your Bible questions! Contact us if you would like directions or more information about a havurah group.